When it comes to investing, it’s best to keep it simple. Invest small amounts regularly, if possible every month, so you get used to dedicating a percentage of your income to investments. Some companies will offer a match and the amount will be taken off your pay, meaning you won’t even notice it’s gone. This is a great way to push yourself to save and invest more. If you count on your willpower at the end of the month, to invest what is left in your bank account, chances are you will not save as much, or won’t save at all. This is why when you invest, pick an amount you can comfortably afford, so you don’t end up stretched at the end of the month. But pick a figure that will also make an impact on your future. It doesn’t have to be hundreds every month. Even with £100, over a long enough period of time, you can build a good nest egg. If you invest £100 a month and your company matches that, your monthly £200 will grow to just over £300,000 at 8% over 30 years. Assuming you were also able to pay off your mortgage during that period, that is a nice amount to enjoy your retirement without having deprived yourself along the way. But what should you invest in? Often investors are a bit confused when it comes to getting started. Two rules prevail when you start investing. Don’t invest money you cannot afford to lose. One mistake young investors make is letting their emotions take over by either pulling out of a winning trade too early or trailing losses for too long. This can lead to capital losses, and so can up and down market moves. 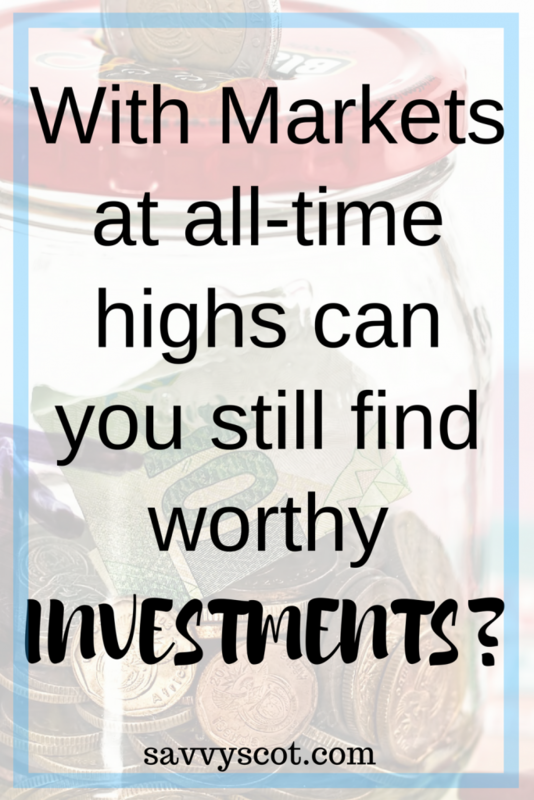 You are in for the long term, and investing carries a level of risk and therefore fluctuations, which you are taking in the hope of greater returns compared to your average Bank savings account. To be comfortable, you should invest small amounts and not worry about them. If the amounts you invest put you in a tight financial position, you may have to sell too early and at a loss. Don’t put your eggs in the same basket. You want to diversify your investments using different asset classes. If you want to invest in stocks and shares, you should pick different sectors, or at least an array of companies so if one goes down you don’t feel the swing too much. Investing in index funds is an easy way to diversify, and they usually have low fees allowing you to keep more of your return. You should also want to invest in different asset classes, for example precious metals, currencies or real estate, on top of the traditional stocks and shares. Just like you have funds for stocks and shares, you have some for other assets. I must emphasise that for the best quality alternative asset funds you should look for those that are regulated. The Algo Performance Fund,for example, is a regulated fund that focuses on Forex, which is short for Foreign Exchange. Forex is a very liquid market that can be traded 24 hours a day. The fund’s strategy is to trade global currencies and take advantage of the market’s opportunities, as major companies and government look for a hedge against currency fluctuations. The fund is a UCITS (Undertaking for Collective Investments in Transferable Securities) qualifying and is looking for 7-12% returns per annum, irrespective of market conditions. As the global stock market looks overstretched, this type of alternative offers a good protection against market corrections and pullbacks. The Algo Performance Fund is regulated by the MFSA and is also registered with the FCA in UK, so you can invest easily through your pension, SIPPS, SSAS or QROPS, ISAs and most investment platforms. As it has a low correlation to bonds and equities, it can bring the diversification you need to your portfolio. It is driven by the Quantaur Algo FX Managed Program Strategy algorithm, that has proven successful over the past three years. For further information and how to invest go to www.algoperformancefund.com. As always when it comes to investing, balance is key, so make sure you diversify and invest regularly to cost average and be less exposed to market swings. Note: As with most investments, capital is at risk and past performance is not necessarily an indication of future performance.